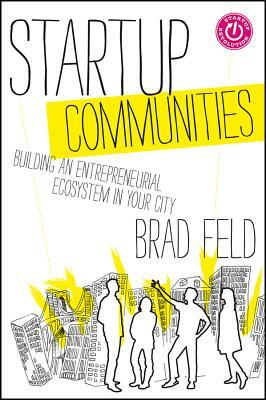 Based on more than twenty years of Boulder-based entrepreneur turned-venture capitalist Brad Feld's experience in the field?as well as contributions from other innovative startup communities?this reliable resource skillfully explores what it takes to create an entrepreneurial community in any city, at any time. Along the way, it offers valuable insights into increasing the breadth and depth of the entrepreneurial ecosystem by multiplying connections among entrepreneurs and mentors, improving access to entrepreneurial education, and much more. Brad Feld has been an early-stage investor and entrepreneur for over twenty years. Prior to cofounding Foundry Group--a Boulder, Colorado-based early-stage venture capital fund that invests in information technology companies all over the United States--he cofounded Mobius Venture Capital and, prior to that, founded Intensity Ventures, a company that helped launch and operate software companies. Feld is also a cofounder of TechStars and has been active with several nonprofit organizations. He is a nationally recognized speaker on the topics of venture capital investing and entrepreneurship.